Hello there everyone, hope you are having a nice day so far. 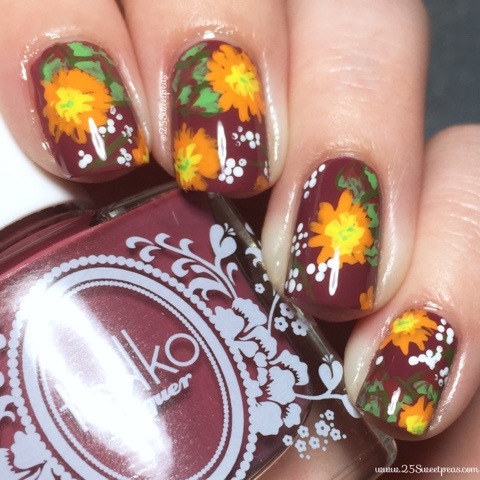 Today I have another new beauty from Takko Lacquer to share with you all. Last year my fave fall color was marsala, and it still is for clothing. 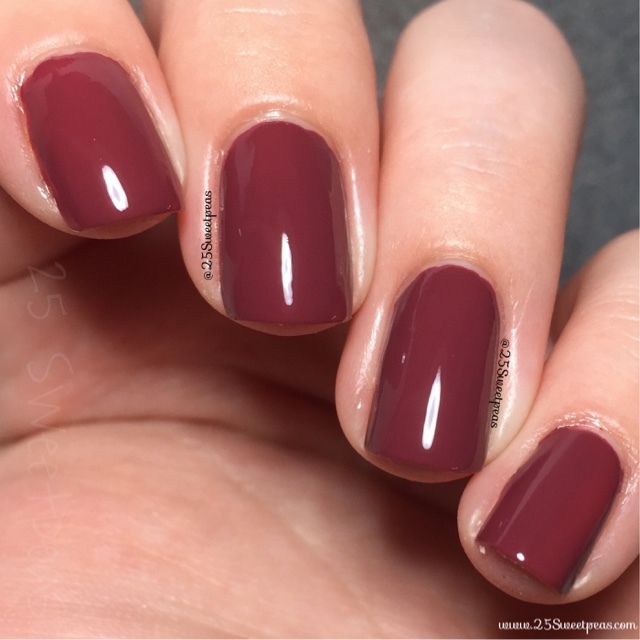 Polish wise nothing marsala this year has wowed me, that being said this one is the winner for this year! This is just one coat of Provocateur! Yes, one coat!! Its formula was fabulous and it applied flawlessly honestly. :) I will have to say this marsala is the best one I have seen out this fall, so I am very excited about this. 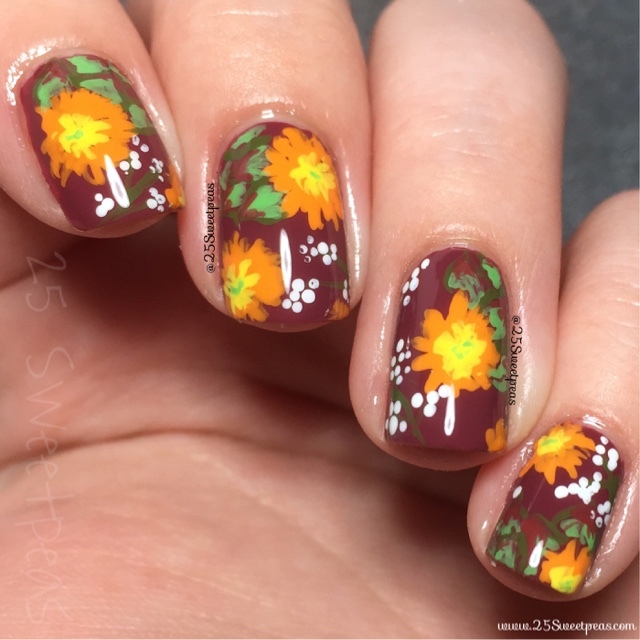 On top I wanted to create a fall like floral and I also wanted to add in the succulent look, but over all the art was kind of a fail sooo.... Eh, I'm just not crazy with how these turned out.